With many clubs allowing and, indeed encouraging, play on their artificial surfaces through the winters months (when weather conditions allow), it is imperative that these courts are completely free from moss, algae, leaves or anything else that might pose a slip hazard. January, in many respects, is likely to model December fairly closely with warmer periods giving way to cold snaps, particularly as we head into the second half of the month. Pros: If soil temperatures rise above 10 degrees Celsius, then good growth will promote recovery on disease scars and worn areas, as well as push along seeded areas following renovation events during early autumn. Cons: Warmer conditions which promote growth can encourage fungal diseases, especially when they occur alongside high relative humidity and low air movement. 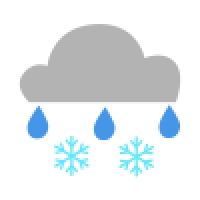 Pros: Once temperatures drop to zero or below, fungal diseases will also draw to a halt. Cons: Grass growth stops once soil temperatures hit low single figures, thus reducing recovery and establishment growth. In addition, cold conditions place an abiotic stress demand on the plant leaf tissues. January represents the ideal time to engage in planning and education. Along with all other land-based industries the Sports Turf sector faces a number of challenges, both in the present here and now, as well as on the horizon for the next 5–10 years. Engaging in continued professional development at events such as BIGGA’s excellent British Turf Management Exhibition, over 22nd–24th January, is an excellent way to spend time with other like-minded individuals and engage in discussion and events designed to help transfer and expand the industry’s knowledge base. 2019 represents the first year Pitchcare will be represented at BTME under the Maxwell product brand, and consequently it provides opportunity to meet with the people behind the scenes at the company to give feedback and ask questions on all things sports turf management. Planning fertiliser inputs via the creation of fertiliser programmes is a long established and accepted practice in the turf management sector. With an increasing emphasis on Integrated Pest Management as both best and most effective practice when tackling a range of turf management factors, transitioning that same thought process and working practice into a number of areas is both wise and necessary. Ø Water management plan – surfactant wetting agents for intensive drought and wet periods, programmed application timings. Ø Disease management plan – cultural operations to improve grass species composition, soil ecosystem diversity, non-pesticidal disease management, chemical controls. Ø Worm management plan – identification of pressure points, reduction of surface organic matter, top dressing with sand, surface acidification. Ø Insect pest management plan – identification of pest species, monitoring of life cycle, treatment protocols. Underpinning the success of all of the examples set out above are; communication, knowledge and education, planning, monitoring and recording. 2018 was a challenging year for turf managers; so, set about reflecting on those challenges, then go about implement how to position yourself and your organisation with the means to meet any challenges you may encounter in 2019 and beyond. Times are not changing, they have changed. Are you ready to meet the challenge? With some machines not currently being used, take the time to carry out an overhaul or send them away for a service. Pitchcare provide a range of courses suitable for tennis clubs. In most cases, the courses can be held on site using the club's own equipment and machinery. 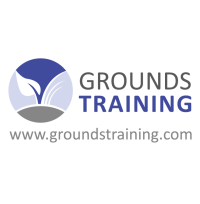 More details about all the courses can be found on our new Grounds Training website, or you can email Carol Smith for information. Whilst many of the above actions may appear to be common sense, it is surprising how some things can get overlooked, often due to the lack of daylight hours. The more that club members, players and officials understand what you role involves, the better. You could use any spare time to provide a members newsletter/blog detailing what problems you are experiencing (disease outbreaks, algae and moss, waterlogging etc.) and to seek additional help as required.